Why was Bob Brady so concerned about getting Judge Jimmie Moore out of the 2012 congressional race? 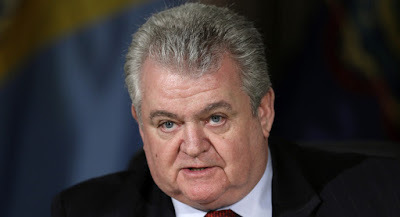 Why was Bob Brady so concerned about getting Judge Jimmie Moore out of the 2012 congressional race? Given his campaign war chest and long standing ties with ward leaders and elected officials in the district, Brady should not have been too worried. However, if Moore had stayed in the race and done reasonably well, he would have exposed Brady’s vulnerability as a white congressperson representing a largely African-American district and encouraged future challengers. It’s likely Brady was as threatened by the issues Moore was raising as by the electoral threat he posed. Moore was the lone voice publicly and repeatedly attacking Brady for his role in the 2012 redistricting battle and wrote an open letter reprimanding Brady for his collusion with Republicans. Despite the new map’s overwhelming favorability to the GOP, it seemed that Republicans in the General Assembly would not have enough votes to pass the redistricting plan—that was, until you stepped up and started rounding up votes in support of the GOP plan. It has been widely reported that Republican leaders in the General Assembly turned to you to secure the necessary votes for passage. Some speculate that you agreed to do this in exchange for a favorable re-drawing of your own congressional district. While the Democratic Party as a whole was the big loser in the redistricting process, you were among the biggest winners. Unfortunately, Philadelphia’s political leaders looked the other way. Very few were willing to criticize a powerful and well-funded incumbent congressman. After Moore dropped out of the race, Brady released a joint statement with Moore in which he pledged “to support Moore in the future,” Despite making this commitment, Brady refused to accept the results of the 2014 ward leader election which Moore narrowly won. In 2015 I interviewed Moore for my book on ward politics, Green Shoots of Democracy in the Philadelphia Democratic Party. According to Moore, immediately after the election Williams conceded, shook his hand and congratulated him in front of the assembled committeepersons. On June 11, 2014, two days after the ward leader election, the Inquirer reported that the only successful challenge against an incumbent ward leader was in North Philadelphia, where retired Municipal Judge Jimmie Moore defeated 32nd Ward leader Gary Williams. A few days later, Moore received a letter from Party Chair Bob Brady stating that Williams had contested the ward leader election. There was no explanation as to why Williams was challenging the results of an election he had already conceded, arousing suspicion that the impetus for the challenge came from Brady rather than from Williams. Moore responded to the Philadelphia Democratic Party’s decision to declare Gary Williams the winner of the ward leader election by filing suit in United States District Court on June 20, 2014. Brady certainly derailed Moore’s political hopes to revitalize the 32nd ward, but he did far worse damage to the Democratic Party. As a result of the Republican redistricting plan which Brady supported, we now have a congressional delegation with thirteen Republicans to five Democrats—despite the fact that in the 2010 general election 2,701,820 Pennsylvanians voted for a Democrat for Congress, compared to 2,626,995 who voted for a Republican. According to Azavea, the firm that developed the Redistricting the Nation project, before redistricting Brady’s district was 31.8% White and 48.0% black. His new district will be 46.9% white and 35.5% black. (The Asian and Latino percentages have changed very little). Brady must have hoped that his role in redistricting would be forgotten and given the response of most Philadelphia elected officials and political reporters, he had every reason to believe that it would. Then Judge Jimmie Moore made Brady’s shameful role in redistricting the center piece of his campaign. No wonder Brady wanted to get him out of the race. 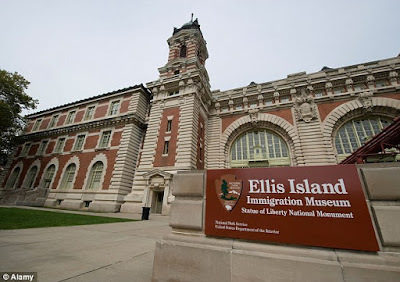 Last week my husband, my son and I went to Ellis Island Museum. I can’t believe that in all these years, I never managed to get it together to visit the Museum. With Trump waging a war against immigrants, it seemed like a good time to learn a little more about the history of immigration. It’s worth being reminded that hostility to immigrants is nothing new in American history. We are both a nation of immigrants and a nation with an unfortunate history of animosity towards immigrants. I’ve never had the fascination with my own immigrant ancestors that many people have. 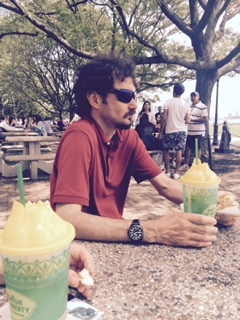 My son Cris is one of those intensely interested in the experience of his immigrant forbears. On my side he has 4 great grandparents who emigrated from Ireland in the late 19th century and on his father’s side two grandparents who emigrated from Ecuador in the 1950s. The passenger records are now available online for the ships that landed over 51 million immigrants, crew members and other travelers at the Port of New York and Ellis Island from 1892 to 1957. Cris managed to locate the ships that my four Irish grandparents arrived on and has also done research on my husband’s grandparents who emigrated from Eastern Europe and located some of their records. I would never have had the patience to sift through all that archival material. One of the most interesting exhibits was the section on immigration post 1945. And many of the people visiting the museum looked like they were part of the post-1945 wave of immigrants from Asia, Latin America, Africa and the Caribbean. “My mother was a twister, in the twisting room in the Lawrence mills…It was unusual…In Italy there were no jobs for women…In fact the people who heard about it back in the village, didn’t like the idea of women working. But my mother felt like she was doing no different from the other women[in Lawrence, MA] so she decided she was going to work. Make some money.’ Josephine Costanza, an Italian immigrant in 1923, interviewed in 1986. “They asked us questions. How much is two and two?’ But the next young girl also from our city, went and they asked her, ‘How do you wash stairs, from the top or from the bottom?' She says, ‘I don't go to America to wash stairs.’ "
Pauline Notkoff, a Polish Jewish immigrant in 1917, interviewed in 1985. I'd give a lot to know what happened to that young girl! I’ve never been the patriotic type. I came of age in the 1960s and thought of my country as racist and imperialist. Of course there was the civil rights movement and the anti-war movement, the counter tradition I identified with. But when I went to Europe for the first time in 1969, I was embarrassed to be an American and readily agreed with the critiques of the US made by the Europeans I met. With the election of Barack Obama in 2008, to echo Michelle Obama, for the first time in my life I felt proud of my county. The euphoria was short-lived as the extent of the Republican obstructionism and the depth of Tea Party racism became apparent. But despite everything the Republicans threw at him, Obama maintained his grace, composure, and determination to stay focused on his agenda. 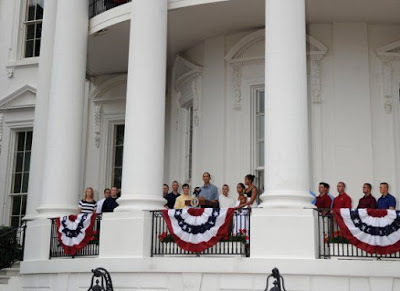 My optimistic 2009 4th of July post makes for painful reading in the age of Trump. But there is the resistance; it hasn’t fizzled out( as some predicted) and will (I hope) only get stronger as we approach the 2018 primary election.